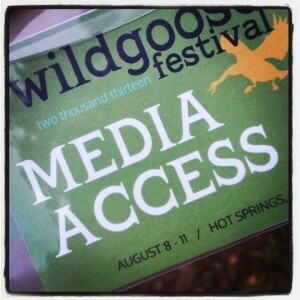 Last week I attended the Wild Goose Festival in Hot Springs, NC. It was just as I remembered the festival from 2 years ago. This time I was able to attend as a member of the press. Which of course was super fun. It meant I also dusted off my camera and brought it along. I put together a photo-story of the festival for everyone and myself. It was a great way to be reminded of moments that I will be sharing in the days ahead. I hope you enjoy the pictures. If you want to see more pictures check out the Twitter feed at #wildgoose13. Click on the link to be taken to the photo album. Loved the photos, Cassandra – nice overview. Gives a very good feeling of how it was. I’m sure your camera will have less of a chance to gather dust in the future. Looking forward to seeing more. Thanks Jacques. Its an art form I’m glad to finally reclaim. I gave it up for a few years, since the cost of printing from film and the cost of entering the digital market were too much. My problem with digital was the quality of the cheaper cameras just wasn’t good enough. Thankfully quality and price have finally reached a level where I can participate again. I still miss holding the print, and the element of unexpected surprises created from the anticipation between taking the picture and finally seeing the print a few days later. With the instant view I miss that a bit. Though I love not having to budget my shots.